Feel the Rhythm Drum Circles offer “Corporate Drum”. These are a series of dynamic workshops and activities for businesses and organizations who wish to foster a sense of team spirit! Rhythm events guide the participants to play drums and then create their own group rhythms. This experience of working together in rhythm promotes cooperation, effective communication and an inclusive workplace. Many Fortune 500 Companies use rhythm events as they have learned that it is important for the team to work together while appreciating each other’s strengths and diversities. When working in synergy, your business or organization will have more success reaching their goals. 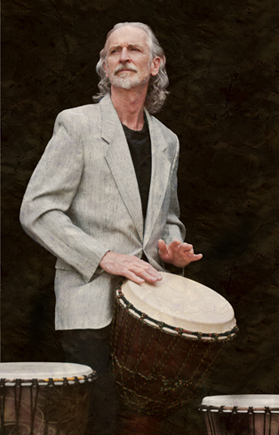 Each client has a specific focus, therefore we customize our Guided Interactive Drumming programs to reflect your intent. Workplaces with positive cultures have employees who work well together, are happier, less stressed and more productive. Businesses and organizations can then save costs with having less sick time, absenteeism, stress leaves, and long term disabilities. Our GID programs will help unite the team with our fun, nonjudgmental activities where everyone will be laughing and sharing their rhythms! Feel The Rhythm Drum Circles brings drumming to the corporate world. Whether it be for a conference ice breaker, a break out session, or to close a conference, our Guided Interactive Drumming programs will energize your participants and stimulate creativity! Guided Interactive Drumming (GID) are customized drumming programs for such events as Team building, Professional Development and Workplace Wellness. Our workshops are tailor made to suit your specific needs and will also reflect the values and dynamics of a successful workplace. LEARNING THROUGH EXPERIENCE: As the Chinese proverb states,”Tell me. I’ll forget. Show me I’ll remember, Involve me I’ll understand.” What is experienced at the workshop will be brought back to the workplace and remembered longer than a lecture or a power point presentation. IMPROVE WORKPLACE DYNAMICS: The focus of GID workshops include; cooperation, effective communication, active listening, appreciation of diversity, and creative problem solving. . ACCESSIBLE: Drums and percussion are the most accessible musical instrument. Participants will be drumming then creating rhythms in a short time. ON SITE: All drums are brought to your event; workplace, retreat, convention centre etc. Team building Workshops: 90 minute, 1/2 or full day workshops for AGMs and Retreats. Workplace Wellness: 6 week program. 1 hr. session, once weekly. Staff appreciation: 1 hr. session of pure fun!